Greetings ninjas! We would like to offer a challenge to our readership. If we can first direct your attention to the Column – you will find a post entitled Visualization- a post where we visualize myninjaplease.com. Create either with graphics or words, how you, yourself visualize myninjaplease.com – the three (3) most thoughtful responses will receive a free copy of the 2 Disc (DVD/CD) set of Bob Marley : Stations of the Cross courtesy of MVD Entertainment Group, which comes out today (9/22/09). The winning entries will be published a week after the termination of the contest which is Tuesday, 8th of October- let the best win! 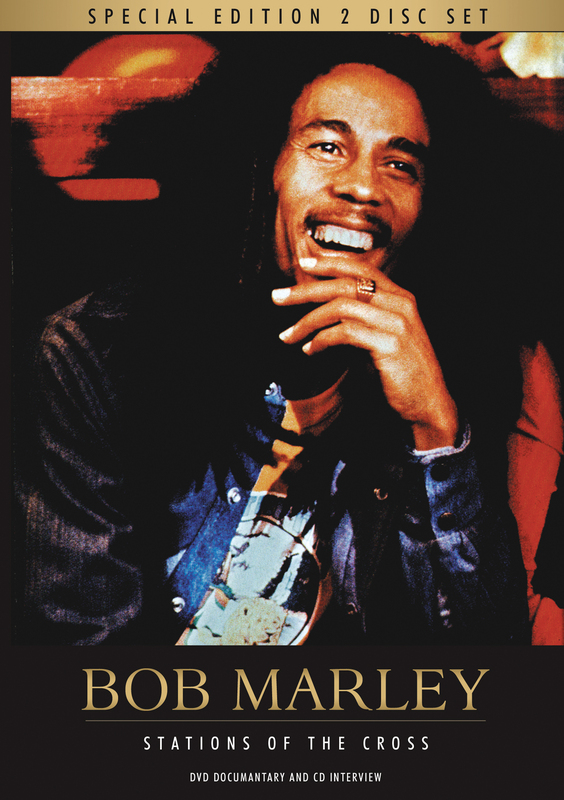 2-disc set includes new documentary film, plus over an hour of rare Marley audio interviews! THE DVD: This film tells the complete and unexpurgated story of Bob Marley and of the life he led and the music he made. From his earliest days growing up in a small Jamaican village, through his early musical excursions – some 12 years before the world learned his name – to his era as an iconic and much loved superstar, a position he was cruelly only to enjoy for 6 short years. Featuring the rarest footage of Bob and The Wailers in existence [including much from private collections], interviews with his very closest friends, loved ones and associates, contributions from the finest writers and journalists, plus news reports, location shoots, exclusive photographs and much more, this is the best film yet to document Marley’s life as it will prove a delight for the millions of fans still enamored of the man and the music.THE CD: More than an hour of audio interviews with Bob Marley, split into a number of sections, each of which concentrates on a different subject close to man’s heart. We’ve randomly selected a winner of the Ninja Arithmetic LVIII contest – this submission by AMNP reader David from Cincinnati. As the winner, David will receive a copy of Installations by Architects : Experiments in Building and Design by Sarah Bonnemaison and Ronit Eisenbach, provided by the good ninjas over at PA Press. I’d like to thank all those readers who submitted ninja math equations, all of which will be featured here in the coming weeks. And keep your eyes open for projects that you think might make a good Ninja Arithmetic, as we’ll be having another contest and giveaway in October. A winner has been announced in the Pamphlet Architecture 30 Competition [the one linked to from AMNP’s sidebar for the past 6 months or so]. The winning entry, entitled: Coupling: Strategies for Infrastructural Opportunism, was submitted by InfraNet Lab / Lateral Office and will be published as number 30 in the critically acclaimed Pamphlet Architecture series of publications. InfraNet Lab / Lateral Office, a nonprofit research collective probing the spatial byproducts of contemporary resource logistics, is composed of Mason White, Lola Sheppard, Neeraj Bhatia, and Maya Przybylski. The winning entrants will receive a $2,500 grant to develop their proposal for publication as Pamphlet 30 in September 2011. The first survey of its kind,Installations by Architects features fifty of the most significant projects from the last twenty-five years by today’s most exciting architects, including Anderson Anderson, Philip Beesley, Diller + Scofidio, John Hejduk, Dan Hoffman, and Kuth/Ranieri Architects. Projects are grouped in critical areas of discussion under the themes of tectonics, body, nature, memory, and public space. Each project is supplemented by interviews with the project architects and the discussions of critics and theorists situated within a larger intellectual context. There is no doubt that installations will continue to play a critical role in the practice of architecture. Installations by Architects aims to contribute to the role of installations in sharpening our understanding of the built environment. A winner will be randomly selected by a lottery system, with entrants names counted once for each individual Ninja Arithmetic submitted [so submitting multiple ninja maths will increase your odds]. The only guidelines for submissions is that images are 492 pixels wide at 72 pixels/inch, and have a black background. If there are 20 or more entrants, I will choose an additional prize [another book] for ‘second place’. Submissions should be emailed to architecture@myninjaplease.com. The winning submission will be displayed on AMNP on Wednesday, September 16th – with the other submissions being featured over the following weeks. If you would not like your submission displayed on AMNP if you do not win, please make note of this in your email. Check out the Ninja Arithmetic archive for inspiration – and good luck!